Become a Friend of MainStreet Roswell Today! We want DownTown Roswell to be a place where residents and visitors love to be and where they go to buy what they need. We believe YOU have the same desire! That’s why we are inviting you to join us as a “Friend of MainStreet Roswell.” This is a sponsor/donation opportunity to fund this amazing work and there is no fixed dollar amount. Choose to donate as much as you wish as an individual, or join as a business or corporate sponsor/donor – it’s your choice. We can only accomplish our goals when YOU help. Our focus on keeping the downtown district thriving not only helps the businesses in the downtown corridor, it helps our whole community. YOU can help us make great things happen! A beautiful & vibrant downtown draws tourists, residents, and gives citizens pride & confidence. It also keeps dollars local instead of being spent elsewhere, & that is good for our city & the people who live here. A dying & abandoned downtown breeds the feeling of an unhealthy community. Download the Friends of MainStreet Roswell Donation Form Here! 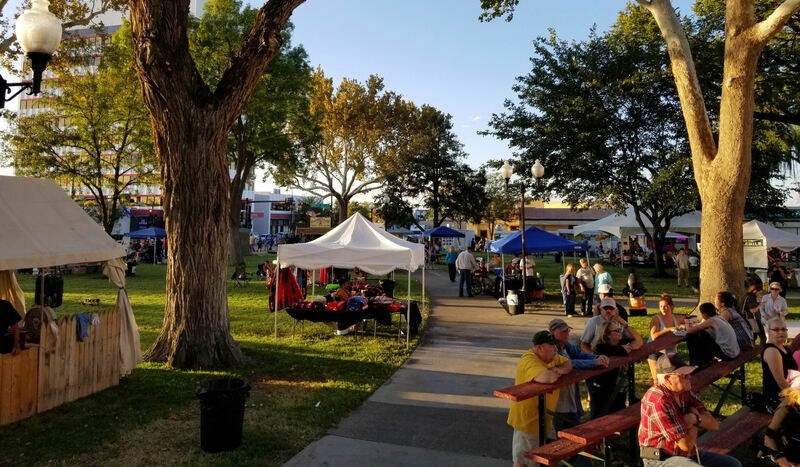 We loved seeing shoppers stop and smile, bags on their arms, as they watched a son and his mother dancing to the music being played in Reischman Park during a First Friday Downtown Market. There were lights, music, food trucks selling yummy things to eat and I knew MainStreet Roswell was responsible. The evening brought out shoppers and left people feeling good about our city. We organize many events like this, and help with projects like the Reischman Park development to provide lovely places for people to enjoy. We have big plans for 2017- 2018. Your support allows awesome things happen! THANK YOU to our current Friends of MainStreet Roswell for their generous donations and support!